Whether you’re a business owner or property manager, the safety and security of anyone using the commercial elevators on your premises is of the highest importance to you. Customers, guests, visitors and staff alike in your building rely on you to ensure that, should there be an elevator emergency, help will arrive as soon as possible. Trust Sturm Elevator to ensure that the emergency phone systems in your commercial elevators are working properly and are monitored at any and all times they could potentially be in use. Commercial elevators use a variety of emergency alerts. Buttons, intercoms and handheld phones are all common means of letting riders in the cabin reach out for help when needed. Sturm Elevator offers 24 hour a day, 7 day a week monitoring, response and dispatch for any commercial elevator alert system. With our elevator phone monitoring service, you’ll be able to set the protocols with us to determine how each emergency call is handled. Our state of the art elevator monitoring will identify each elevator, so we know exactly where the call is coming from. We’ll then take the appropriate action in line with your requested protocols. Sturm Elevator can dispatch repair technicians, emergency services like fire and EMS, or both, at a moment’s notice. Sturm Elevator offers 24 hour a day, 7 day a week monitoring, 365 days a year. 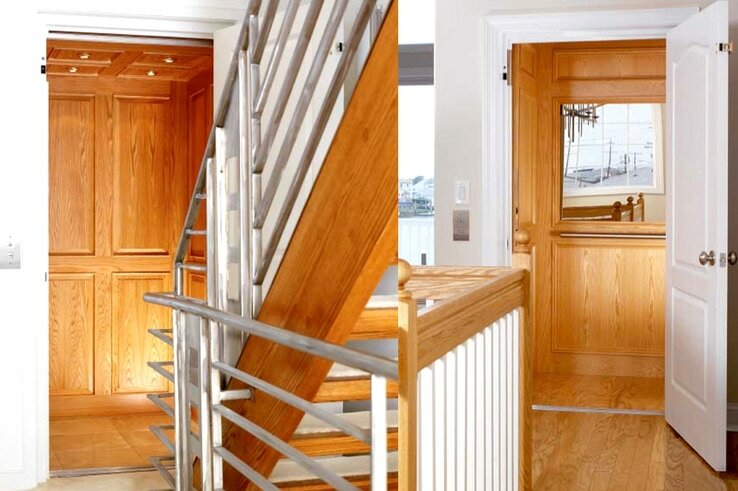 Anyone in your building, using your elevators can reach us at any time without exception. Once a rider engages the emergency button or uses the phone system, we’ll immediately see the location of the elevator and know exactly where help is needed. We’ll also have instant access to your contact information and protocols so we can alert you if necessary or as requested. Sturm Elevator’s elevator phone monitoring service complies with the Americans with Disabilities Act in making access to the system simple and easy for those who may have visual, hearing, speech or physical impairments. With Sturm Elevator’s phone monitoring, all the calls initiated from the elevator’s phone or help system are automatically recorded. Time, call duration and location are all noted with the recording. As a property owner or manager, you’re likely aware of the liability you take on when anyone, guests, customers or staff, enters your building. 24-hour monitoring of your building’s elevator call system reduces your liability and ensures those using your elevators have access to help, should the need arise. 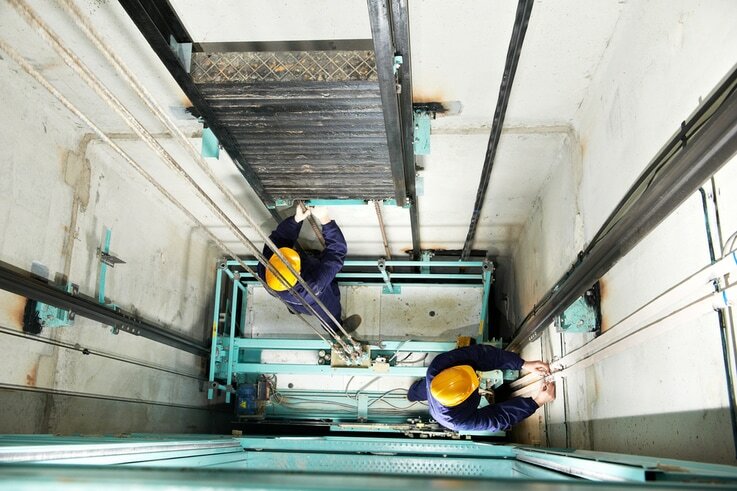 We are experts at commercial elevator modernization and premier providers of commercial elevator inspection services, so you can rely on us to help you make sure your elevators have up to date phone systems that work correctly. With our 24/7 phone monitoring for elevators, you can rest easy knowing anyone using your buildings elevators can reach us at any time, day or night. 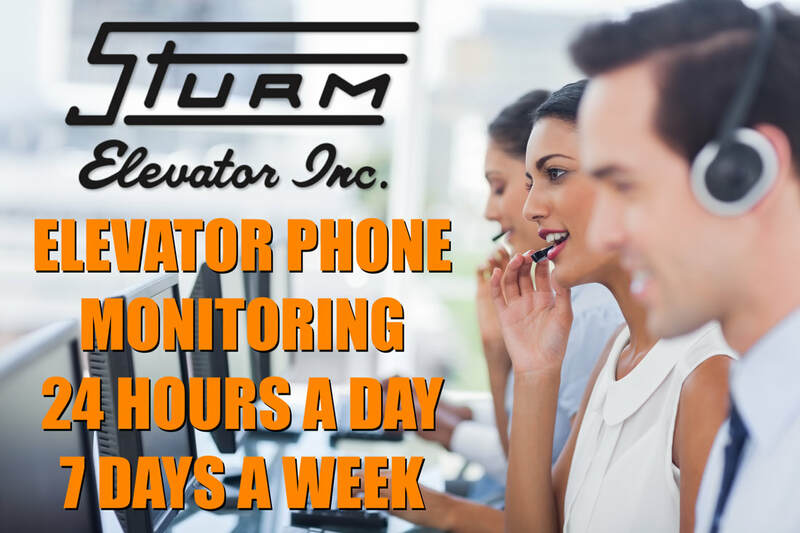 ​Call Sturm Elevator at 503-284-2003 for your free consultation to learn more about our 24-hour commercial elevator telephone monitoring service. We’ll determine how to best serve your needs and the needs of your building’s guests. Our team will discuss the options and requirements to implement 24/7 elevator call monitoring for your building.